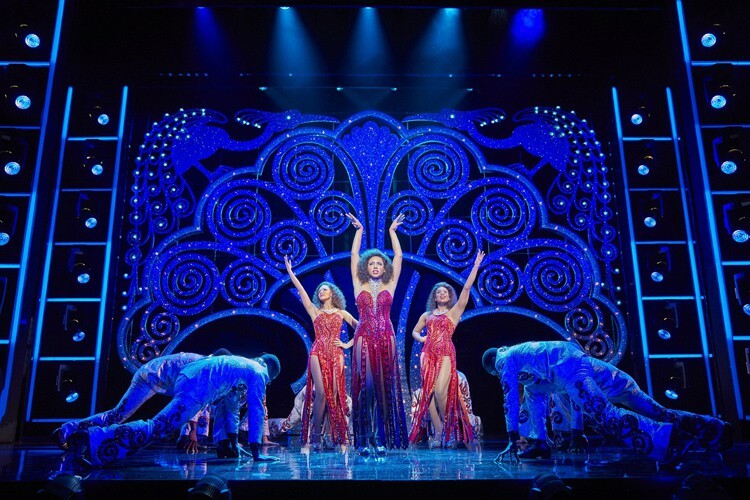 Dreamgirls is one of those musicals with a whole load of singing in the first half and a stronger focus on plot and character development in the second. 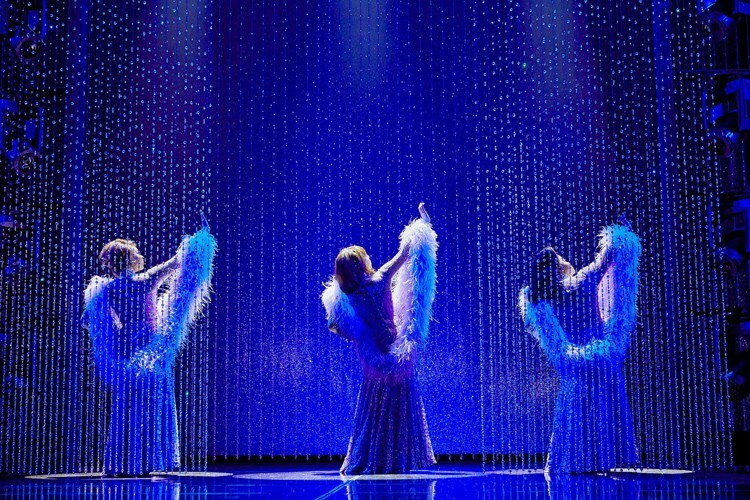 I went to the Savoy Theatre wanting the show to really shine, and live up to the hype that’s been surrounding it for some time. I was actually rather disappointed with it come the interval, as I felt I didn’t know much about the characters by this point, beyond them involved in the music business. But it’s in the second half that the narrative becomes intriguing and absorbing, and in this way the show builds to a resounding finish. As this show comes to London in the same year that Motown the Musical opened over at the Shaftesbury Theatre, the whole thing with composer CC White (Tyrone Huntley) and band manager Curtis Taylor, Jr. (Joe Aaron Reid) was so reminiscent of the Motown story (as told in that other musical, at least), that I couldn’t help feeling I’ve seen a remarkably similar storyline before, however vociferously the producers insist on there being no correlation. 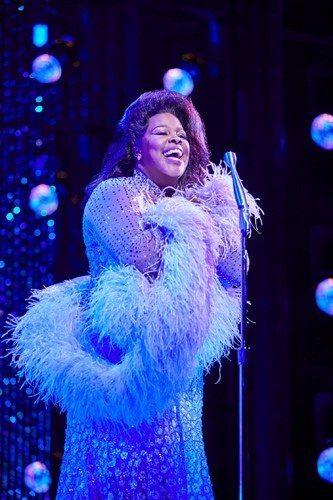 By a considerable margin the stand-out performance comes from Amber Riley as Effie White, with a powerhouse vocal that elicited three standing ovations over the course of the performance I attended. Perhaps standing ovations really are overdone these days, but the delivery in the Act One closer, ‘And I Am Telling You I’m Not Going’ (even if she is, as the interval immediately follows) is not mere belting in the fashion of someone trying to blow out an amplifier or two just to demonstrate they have the loudest vocals in town. There is pathos and heartfelt emotion attached to it, which gives the musical number depth and passion. Amber Riley wasn’t alone in having an amazing voice. A late duet with Liisi LaFontaine’s Deena Jones, ‘Listen’, was rightly well received. It was a little difficult in places to follow exactly where we were in the story – there was not always enough distinction between one time and place and another on stage. But this production has spared no expense on costumes. The programme lists no less than 35 costume makers, and without giving too much away, the costumes are wonderful. The transitions between scenes were slick and smooth, even by West End standards, allowing for pleasantly relentlessness in a very reasonably paced production. The show as a whole flows extremely well, though the emphasis is on, as Jimmy Early (Adam J. Bernard) puts it, having “a good time”. 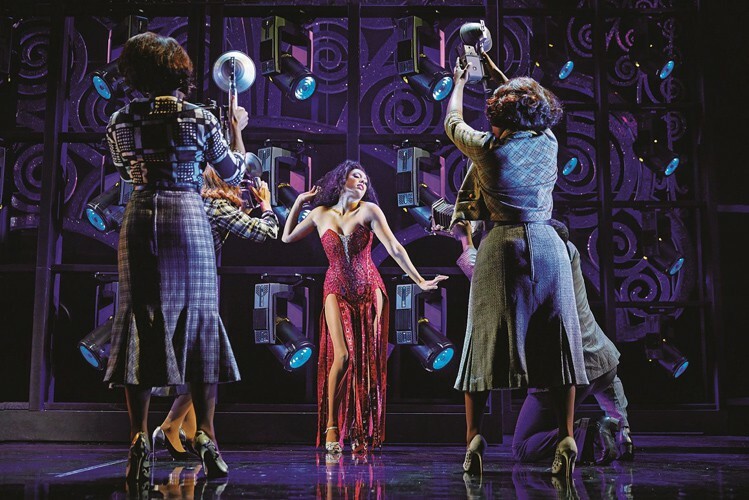 More serious elements of the plot, therefore, come across as taking a back seat as the vibrant choreography (Casey Nicholaw) and upbeat music take centre stage again and again. That said, I would not have liked to have been one of the ‘Dreamettes’. I am sympathetic to the idea that showbusiness is a ruthless and cut-throat industry, but their terse treatment by the likes of Curtis Taylor, Jr., for instance, is probably more unpalatable now than it was during the show’s first Broadway run in 1981. I couldn’t have been the only one feeling more than a little uncomfortable, judging from the audible gasps from the audience. I wonder, though, if the few sober elements in this musical are amplified by the sheer heartening nature of the rest of it. The show does have, undoubtedly, a definitive ‘wow’ factor, and at the end of the day, I came out feeling that I had seen a good show. More of a concert than anything else, it’s loud and unapologetic, glitzy and glamorous, all-out, all-American fun. As long as that is borne in mind, audiences are assured of an enjoyable two-and-a-half hours. 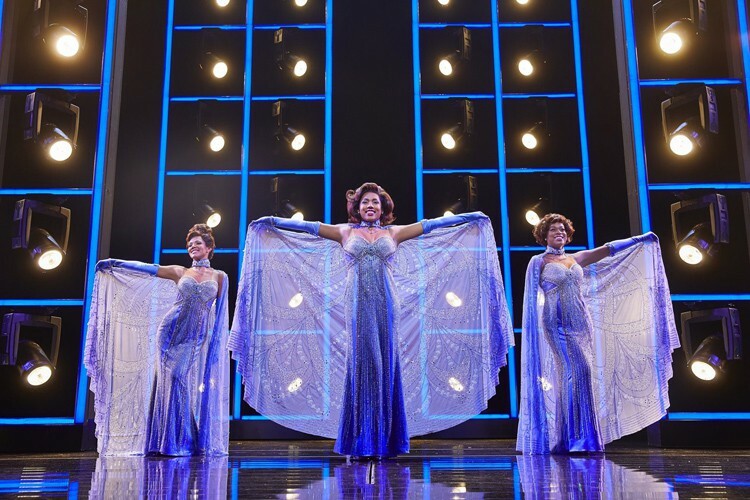 And with the world at large being what it is at the moment, an overwhelmingly positive show like Dreamgirls could not have landed in the West End at a more appropriate time. 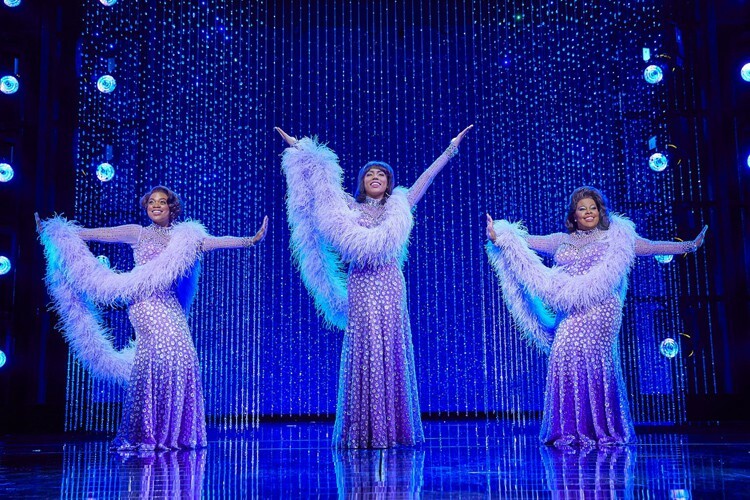 Read our Dreamgirls review. 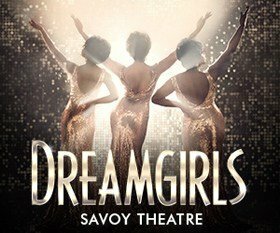 Read our review of Dreamgirls Songs and order the CD online from Amazon.